Wrap yourself in a garden where the sun always shines and the flowers never fade. 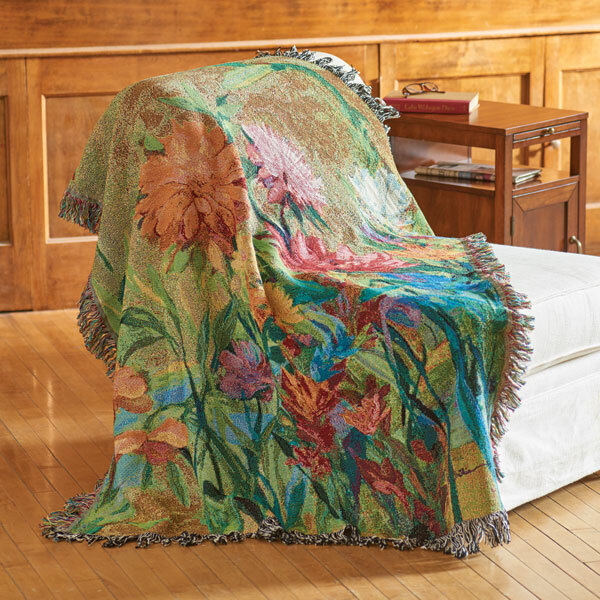 Based on an original watercolor by California artist Martha Collins, 100% cotton throw is fringed all around. 50" x 60". Jacquard-woven in USA.